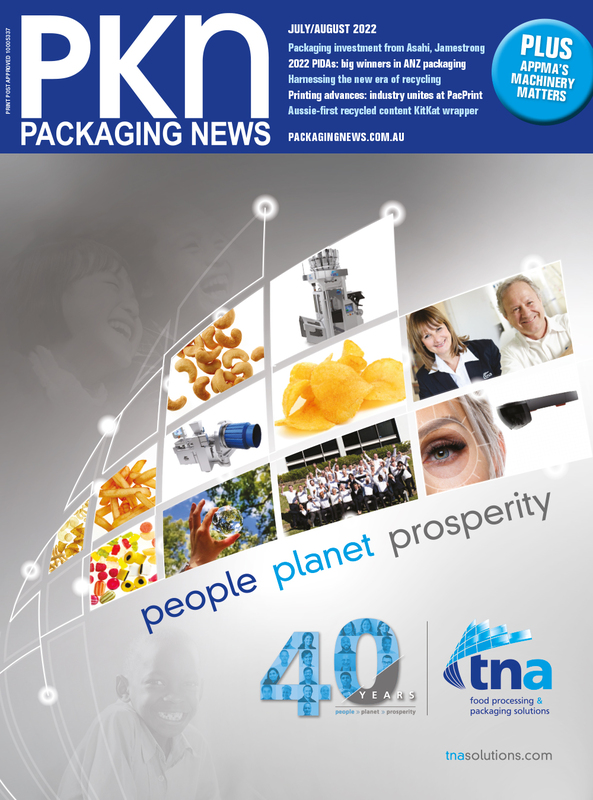 Terms and conditions, site usage rules and advertising conditions for the Packaging News site (www.packagingnews.com.au) owned by Yaffa Media Pty Ltd.
Yaffa Media (Yaffa) is the owner of this site. 1. Users of this website agree to be bound by these terms and conditions, which are subject to change at the discretion of Yaffa. Your use of and access to this site indicate your acceptance of these terms and conditions. 2. All intellectual property in relation to material included on this site belongs to Yaffa or its licensors or advertisers, and Users obtain no interest in that property. 3. All material on this site is protected by Australian and international copyright and other intellectual property laws. Users may not do anything which interferes with or breaches those laws or the intellectual property rights in the material. 5. This site may include third party content which is subject to that third party's terms and conditions of use. 6. This site may include links to third party sites which are not related to Yaffa and in relation to which Yaffa has no control or interest. Those links do not indicate any relationship between Yaffa and that third party or any endorsement by Yaffa of that third party, its site or the products or services which it is advertising on this site. 7. Yaffa will have no responsibility or liability in relation to any loss or damage which you incur, including damage to your software or hardware, arising from your use of or access to this site. 8.Users will not use this site for any purpose or in any way which is unlawful. Yaffa welcomes the general public to provide content in the form of comments, still photographs, video, stories and other types of user-generated content for publishing to our websites and print publications. Only content that complies with the following terms and conditions is eligible for publishing. 1. If you submit content to Yaffa, you agree to be bound by these terms and conditions. These terms and conditions are subject to change at any time. 2. Yaffa editors and moderators at their discretion may edit or remove your content. Only Yaffa staff determine whether your content will be published. 3. You acknowledge that your content is accurate and reflects actual people and events and you did not digitally alter images or footage in any way to impersonate any person or entity or falsely state or otherwise misrepresent your affiliation with a person or entity. 4. You acknowledge that your content is not being provided for a commercial purpose. 5. On providing your content to Yaffa for publication in any media, you indemnify Yaffa and its officers, employees and agents against any damage or loss made against or suffered by any of those indemnified arising, in whole or in part, as a result of the publication by yaffa or a person permitted by Yaffa of your content; or a breach by you of these terms and conditions. The Online Advertising Order attached to these terms and conditions ("General Terms") constitutes an agreement ("Agreement") between Yaffa and the Advertiser. The Online Advertising Order attached to these General Terms is subject to these General Terms. 1. Cancelling and Modifying Orders. If the Advertiser wholly or partly cancels the Online Advertising Order within 30 days of Yaffa being scheduled to undertake the work to which the cancellation relates, the Advertiser must still pay Yaffa all amounts due to Yaffa, including any Charges (defined below). The Advertiser may not modify the Online Advertising Order without Yaffa's prior written approval. 2. Rates. Yaffa's advertising rates are subject to change at Yaffa's sole discretion. 3. Terms of Payment. The Advertiser must pay all amounts payable to Yaffa in respect of the Online Advertising Order ("Charges") in full and in the manner set out in these General Terms and the Online Advertising Order. This is an essential term of this Agreement and the time for payment of Charges and the amount of Charges payable pursuant to this Clause is of the essence. If the Advertiser operates on credit terms, it must pay all Charges within 14 days of receiving a valid tax invoice. If the Advertiser does not operate on credit terms, it must pay all Charges in full within the timeframes advised by Yaffa from time to time. 4. Advertiser Obligations. The Advertiser must not assign or transfer any advertising space or any of its rights in this Agreement without the prior express written consent of Yaffa. 6. Links to Websites. The Advertiser warrants that any website link included in any Advertisement will at all times comply with applicable Laws, Industry Codes and the requirements of relevant Regulators and is suitable in all respects to be linked to and from the Yaffa Property. Yaffa may remove any link which fails to comply with the any requirement above at any time. 7. Right to Reject Online Advertising Order. Yaffa may wholly or partly reject/cancel the Online Advertising Order at any time in its sole discretion. If Yaffa does not publish an Advertisement/Campaign, it will be deemed to be a rejection of the Online Advertising Order and but does not constitute a breach of this Agreement or otherwise entitle the Advertiser to any legal remedy. 8. Compliance with Notifications. If Yaffa receives a Notification in respect of an dvertisement/Campaign which requires Yaffa to respond or take action, Yaffa may, without any notice or any liability to the Advertiser, take any steps necessary to do so. 9. Positioning and Style. Unless otherwise stated in the Online Advertising Order, Yaffa will position Advertisements on Yaffa Property as it sees fit and Yaffa makes no warranty or representation that any Advertisement/Campaign will be placed in any specific part of the Yaffa Property. 10. Operation of Yaffa Property. Yaffa makes no representations or warranties about the functionality or performance of the Yaffa Property (including "up time"), that Yaffa Property will be fault or error free or that any errors or interruptions will be rectified within any particular time period. 11. Advertisements for Competitions and Promotions. If an Advertisement is for a competition/promotion being run by the Advertiser (or its client), the Advertiser must ensure that the identity of the promoter is set out in the Advertisement, that all required permits have been obtained and all applicable regulations/advertising requirements have been complied with. 12. Termination. Yaffa may wholly or partly terminate the Online Advertising Order and this Agreement immediately upon written notice to the Advertiser if the Advertiser breaches any of its warranties or indemnities or if it fails to pay any Charges as required. The Advertiser must pay all amounts outstanding at the date of any termination or expiration of the Online Advertising Order and this Agreement. The Advertiser's warranties and indemnities survive the termination/expiration of the Online Advertising Order and this Agreement. any content that relates to financial matters or would require Yaffa to hold any financial services licence. 14. Advertiser Indemnities. The Advertiser indemnifies, and must defend and hold harmless, Yaffa and its personnel, from and against all Losses arising from: any breaches of this Agreement or its warranties; any third party claim arising directly or indirectly from a breach by the Advertiser of any of its obligations under the Online Advertising Order and this Agreement; negligent, wilful or otherwise wrongful act or omission of the Advertiser or any of the Advertiser's personnel; fraudulent or dishonest acts or omissions of any Advertiser personnel; any breach by the Advertiser of any applicable Laws, AANA Codes of Practice or Industry Codes or the requirements or directions of relevant Regulators; any claim by any third party arising directly or indirectly as a result of Yaffa fulfilling its obligations in accordance with the Online Advertising Order and this Agreement; the death of, or personal injury to, any person, to the extent caused by any act or omission of the Advertiser or any of its personnel; any damage to, or loss or destruction of, any real or tangible personal property, to the extent caused by any act or omission of the Advertiser or any of its personnel; or any breach by the Advertiser of its confidentiality obligations; or any claim or allegation that the Advertiser Material infringes a third party's Intellectual Property Rights or constitutes an unlawful disclosure or misuse or misappropriation of another Party's trade secret or confidential information. 15. Yaffa Material. All right, title and interest in all Intellectual Property Rights in Yaffa Material remains with Yaffa. Nothing in these General Terms constitutes a transfer, assignment or grant of any ownership rights in the Yaffa Material. 16. GST. Unless GST is expressly included, the consideration expressed to be payable under this Online Advertising Order for any supply made under or in connection with this Online Advertising Order does not include GST. 17. Disclaimer. Subject to the paragraph below regarding Australian consumer warranties, Yaffa disclaims any express or implied warranties in respect of the services it provides under this Agreement. In no event will Yaffa, its affiliates and related entities, servants, employees and agents, be liable to the Advertiser for any form of loss, damage, liability or expense whatsoever including but not limited to consequential, indirect, incidental, or special damages, damages for loss of profits, business interruption, loss of or unauthorised access to information, even if Yaffa has been advised of the possibility of such damages. Yaffa, its affiliates and related entities, servants, employees and agents, will not be liable to the Advertiser for any form of loss or damage arising from any act or omission of the Advertiser, a third party service provider or contractor to Yaffa or any discrepancy, fault or malfunction of any Yaffa or third party telecommunications system, software, system or computer server or any other technology based platform. In no event will Yaffa, its affiliates and related entities, its servants, employees and agents, be liable to the Advertiser for an amount in excess of the total dollar amount actually received by Yaffa from the Advertiser in accordance with the Online Advertising Order and this Agreement. The Advertiser acknowledges that Yaffa has not made any warranties in respect of the success or otherwise of advertising upon the Yaffa Property or any other media, marketing communications channel, marketing or advertising campaign, promotion or advertisement. Yaffa will use reasonable commercial endeavours to achieve the service and deliverables as set out in the Online Advertising Order. If this Online Advertising Order constitutes a supply of goods or services to a consumer as defined in the Australian Trade Practices Act 1974 or relevant State/Territory legislation nothing contained in this Online Advertising Order or General Terms excludes, restricts or modifies any condition, warranty, right or remedy where to do so is unlawful, in which event Yaffa's and its affiliates' and related entities', its servants', employees' and agents' liability for any breach of this Agreement including any liability for consequential loss will be limited as Yaffa may elect in its sole discretion, in the case of services supplied or offered by Yaffa, to either (a) the supplying of the services again; or (b) the payment of the cost of having the services supplied again or, in the case of goods supplied or offered by Yaffa, (c) the replacement of the goods or the supply of equivalent goods, (d) the repair of such goods, (e) the payment of the cost of replacing the goods or acquiring equivalent goods, or (f) the payment of the cost of having the goods repaired. 18. General. If any provision of this Agreement is found invalid or unenforceable, such provisions will be taken to be modified to the extent required to make them enforceable. This Agreement is governed by the laws of New South Wales. Each of the Parties irrevocably submits to the non-exclusive jurisdiction of the courts of New South Wales and the Federal Court sitting in New South Wales. Advertiser means the party placing the Online Advertising Order, as set out in the Online Advertising Order. Advertisement means any advertisement set out in the Online Advertising Order. AANA Codes of Practice means the advertising codes of practiceprescribed and promoted by the AANA and any codes of practice amending or superseding these codes. Advertiser Material means any material provided to Yaffa for the purposes of advertising on the Yaffa Property, including but not limited to: any logo, trade mark or indicia of the Advertiser, literary works; dramatic works; musical works; artistic works; sound recordings; cinematograph films (including video games); or any other material or content of a nature or type that can be uploaded via the Internet or any other technology to the Yaffa Property. Campaign means any campaign set out in the Online Advertising Order. Industry Codes means any industry code of conduct or practice that may be applicable to the Advertiser or the Advertiser's business activities. Intellectual Property Rights means all present or future intellectual property rights of whatever nature anywhere in the world including, but not limited to, rights in respect of or in connection with copyright, inventions (including patents), trade marks, service marks, trade names, domain names, designs, confidential information, trade secrets and know-how and similar industrial, commercial and intellectual property rights, whether or not registered or registrable, and includes the right to apply for the registration of such rights, and whether existing in Australia or otherwise. Know How means the collective industry & campaign experience, information or know how gained and owned by Yaffa through the conduct of its business by its owners, employees and contractors (whether written or unwritten). Laws means all laws including but not limited to rules of common law, principles of equity, statutes, regulations, statutory mandatory codes of conduct and judgments. Losses means loss, damage, liability, charge, expense or cost (including all reasonable legal and other professional costs on a full indemnity basis) of any nature or kind. Notification means any notice or instruction sent by a Regulator to Yaffa about an Advertisement/Campaign. Party means Yaffa and the Advertiser. Regulator means any regulatory government agency or any private entity that functions in a quasi-regulatory manner, having any applicable jurisdiction. Yaffa means Yaffa Media Pty Limited (ACN 002 699 354). Yaffa Material means any material, documents, media and property (including Know How) prepared, created, developed or acquired by Yaffa prior to the Online Advertising Order or independent of this Agreement. Yaffa Property means any Yaffa website, mobile site, WAP portals, email marketing, person to person messaging service (eg IM, SMS, MMS and email) and any other electronic, emerging, digital or conventional communications channel owned by Yaffa that is specifically referred to in the Online Advertising Order.